Locate documents. If you can locate the original will, this should be admitted to the relevant Texas court for probate. Depending on the county where the decedent resided or had most of her property, this will either be in a county probate court or a county court at law. If you are unable to locate the will, you may need to search the decedent’s belongings. If the decedent had a safe deposit box where the will may be located, you should contact an attorney to help you complete the court process to gain access to the box. If all you can locate is a copy of the will, you should check with the attorney who drafted the will to see if he or she has kept the original for safekeeping. In addition to the will, you will also need a copy of the death certificate. Hire a qualified Texas probate attorney. It is important to seek the counsel of an attorney who understands the Texas Estates Code and how to administer an estate in Texas. As executor, certain duties are imposed upon you, and the failure to fulfill those duties could result in personal liability on your part. There are various deadlines that must be met, in addition to the possibility of the payment of certain taxes. Apply for probate. 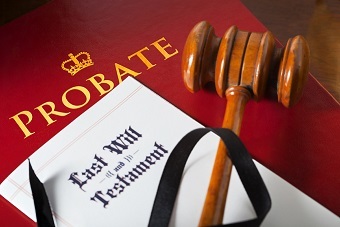 Your attorney should handle the filing of the will for probate. At or after the court hearing, you will sign an oath promising to fulfill the duties of executor, and the court will issue Letters Testamentary, which authorize you to act as executor on behalf of the estate. It is important to note that prior to your appointment as executor by the court, you are not entitled to receive the assets of the estate for administration purposes. Notify certain parties. You are required to notify beneficiaries under the will and provide them with a copy of the will, unless they waive such notice. In addition, you will need to provide notice to existing or potential creditors of the estate. The timing and type of notice required may vary depending on whether the creditor is secured or unsecured, so you should consult with your attorney regarding these notices. Your probate attorney will generally handle the filing of notices. Manage the estate property. You will need to prepare an inventory of the decedent’s property and take steps to protect the property from loss. In some cases, it may be necessary to hire an appraiser to determine the value of certain property, such as real estate or other assets that do not have a readily available market value. Pay claims of creditors. If the estate has valid claims by creditors, you will need to pay those from the estate’s funds. As executor, you are not personally liable for the debts of the decedent, and you should use funds from the estate to pay these claims. It may be necessary to sell some of the estate’s assets to pay these debts. Generally, the estate will pay reasonable funeral and burial costs first. Other common debts include probate and administration fees as well as valid claims made by third party creditors. File tax returns. You should consult with your probate attorney or a CPA to determine the deadlines for filing a final income tax return for the decedent, as well as determining whether an estate tax return is necessary. In some cases, other tax filings may be necessary, so you should check with a qualified professional to insure that any filings are made in a timely manner. Distribute assets to beneficiaries. After debts and taxes have been paid, the executor is responsible for distributing assets to the beneficiaries as provided in the will. This may require selling some property of the estate to satisfy cash gifts, and it may also include setting up trusts for one or more beneficiaries if specified in the will. Keep accurate records. It is important that you keep accurate records concerning both the assets and the debts of the estate. You will be required to prepare an inventory of estate assets, usually prepared by the probate attorney based on information you provide. Depending on the terms of the will, you may be required to file this accounting with the probate court. The job of an executor can seem like a daunting task, but with the help of a good probate attorney, it is a very manageable process. And remember, as executor, you are generally entitled to reasonable compensation for your services. See What is Required of an Executor?, Elder Law Answers, 12/20/2012.